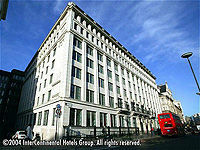 The hotel's façade is of an early 20th Century building built on the site of Henry VIII's Bridewell Palace. 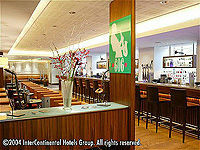 The interior, however, has all the modern comforts and facilities you would expect from a 21st century deluxe hotel. The hotel contains a New York Style deli, chic city Jazz bar with the intimate glass room and Refettorio, directed by Michelin-starred chef Giorgio Locatelli. This Restaurant has brought the best and freshest style in Italian dining to the City. Our 203 guest rooms, including 47 Deluxe Rooms, 44 Club Rooms, 2 Suites and 12 studios ensure comfort and relaxation. We offer broadband in all our guest rooms and wireless internet connection in all public areas. 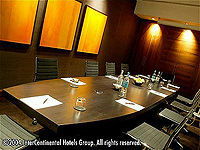 Meeting and private dining facilities include an executive boardroom, and 3 main function suites for up to 160 delegates. The business centre and work stations provide secretarial and business support services for delegates and residents including high speed internet access. Ideally located for all your business and leisure needs Crowne Plaza London - The City can help you make the most of your stay in London, whatever the purpose.